How Good is Police Surplus? 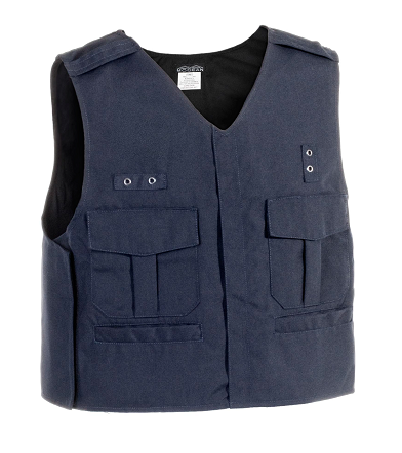 In concealable, police-style 'bullet proof' vests (or more correctly bullet-resistant vests) we offer a superb value in Police Surplus vests: Previously Worn, or Refurbished to look Like-New, police vests. Not "cheap imported vests on sale", NOT made in China, but quality U.S.-made vests that are in good condition, inexpensive, ready to wear, and a great value. Police Departments are legally obligated to only use vests under warranty with an insurance policy - so even though a 5 year old vest is typically still perfectly serviceable, they are retired. "Old Armor Tests as Good as New" according to NIJ research on 10 year old USED armor. The Wound Channel on YouTube hit one of our older Level II Police Surplus vests with a Level 3-A sub-machine-gun - 9mm at over 1,400 fps. Still no penetration, even though Level II is not rated for this threat! Our bottom line is - if we would not be happy wearing the vest ourselves, we won't sell it for Body Armor (it goes into the "test shooting" pile). FULL-wrap side protection (unless requested otherwise). Vests come complete, ready to wear. The Second Chance Monarch Summit is an expensive, premium vest, only 7.5mm thick in Level 3-A. We have a huge discount for these Previously Worn vests that we have carefully inspected, cleaned and deodorized. We pull out any vests with excessive wear. Our standard is - would we be perfectly happy wearing this vest personally in the line of fire. Worn-out elastic is replaced so the vest is entirely serviceable. We see a few Police Surplus vests that were issued, but have seen little or no wear. Hard to tell they're not brand-new. An expensive, premium vest, only 7.5mm thick in Level 3-A. Very lightly worn vests that we have carefully inspected, cleaned and deodorized. from a very happy LEO! 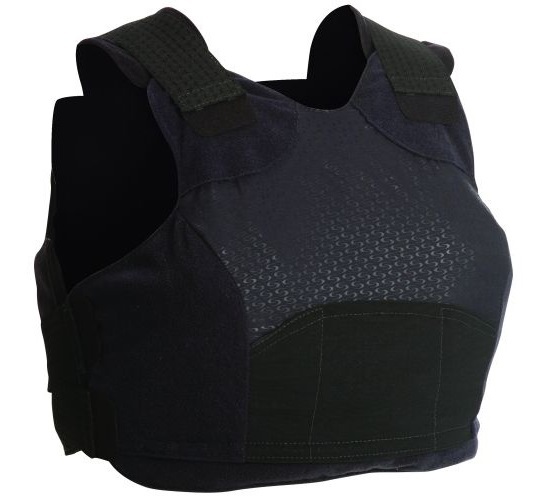 Other companies refurbish used vests by mass-producing cloth carrier outershells that don't properly fit the Kevlar vest panels. You will see an extra 2", or more, of excess cloth material for the Kevlar to slide around in! 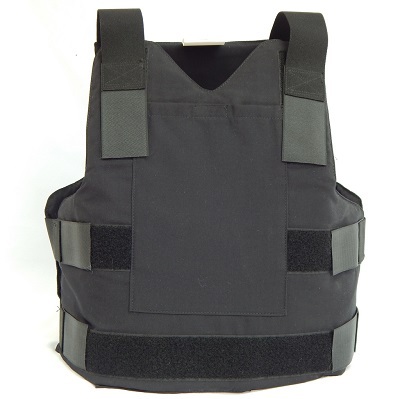 We only ship vests with carriers that will hold your vest securely. Large Regular is 4.4 lb. / 2 kg. Previously Worn vests that we have carefully inspected, cleaned and deodorized. 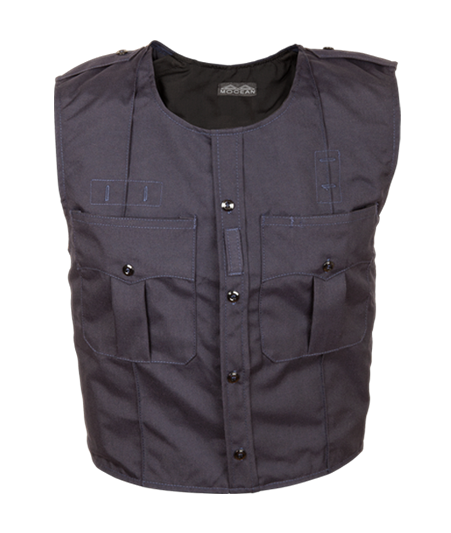 If we would not be comfortable wearing a used vest for our personal protection, we sell the panels for test shooting. One stripped down ballistic panel, NO carrier, and NOT usable as a vest. If you would like to see just how well armor works, nothing inspires confidence like shooting one yourself. You need to have a suitable backstop for the vest to test properly. A concrete wall is too hard for a valid test, and can make a good vest fail. Swinging free in the air can let a bad vest pass. So a punching bag or other semi-soft backstop is ideal for "field expedient" testing. Get your measurements, and then call us, and tell us what you want. We will check on vests to fit you  and your budget  out of our inventory. We will describe the vest(s) we are offering to you in detail before you confirm your order: size, brand, model, color, weight, condition, etc., etc. Our Bullet proof Vests PHOTOS show the difference. We shot an 11-Year-Old, Level II Vest with four, 9 mm FMJ rounds, plus 00 Buckshot, from 24" (61 cm). The deepest penetration was not even halfway through!